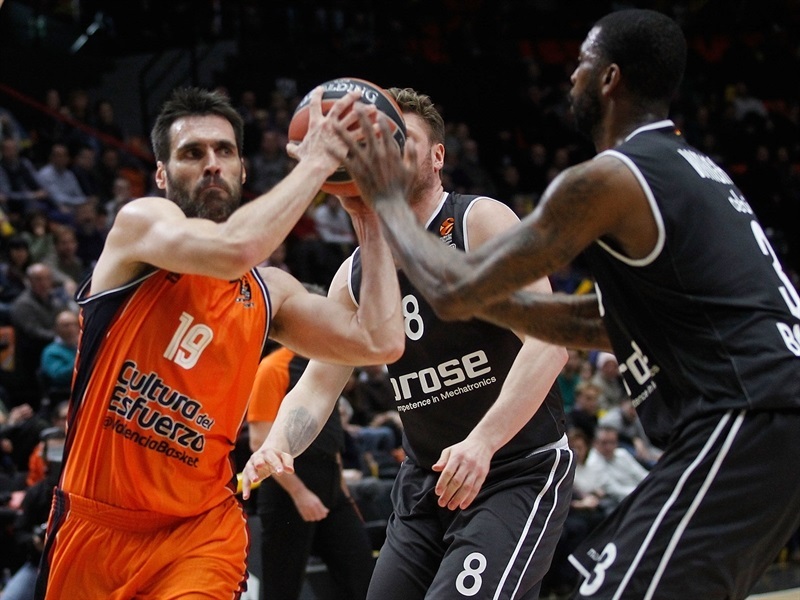 Valencia Basket set a club record with 15 three-pointers in defeating Brose Bamberg 86-70 Thursday at La Fonteta. 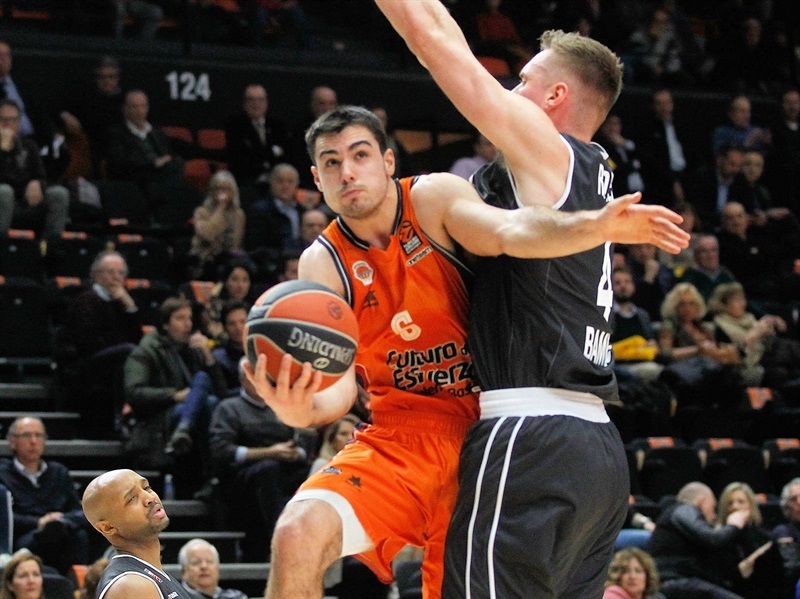 Alberto Abalde tied a career high with 18 points to lead five Valencia scorers in double figures. Fernando San Emeterio and Bojan Dubljevic each shot 4 for 6 from downtown and finished with 16 and 14 points, respectively. Will Thomas added 11 points and, like Dubljevic, collected 7 rebounds. And Rafa Martinez scored 10 points. 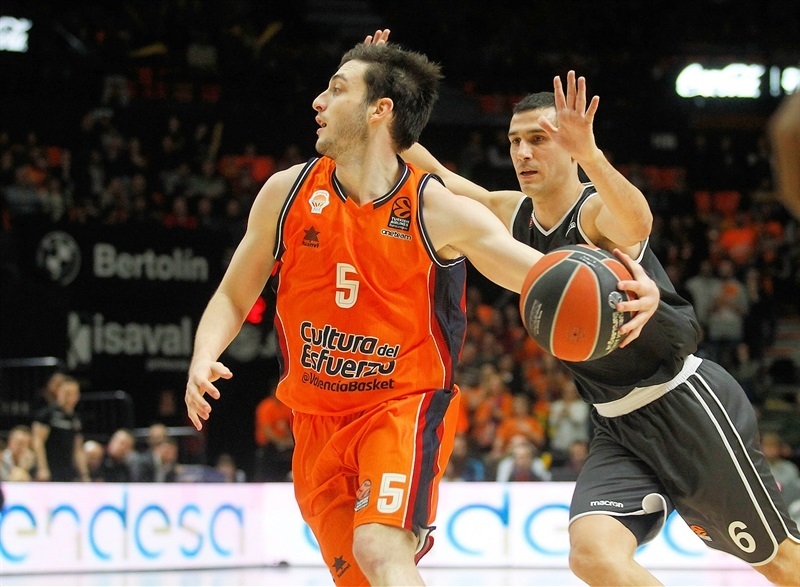 San Emeterio and Martinez dished 5 assists apiece, too. The result left both teams with 9-15 records and three wins outside of the playoff zone. It was a back-and-forth game’ the hosts led by as many as 19 in the first quarter before Brose rallied in the second to get within 3 at halftime. 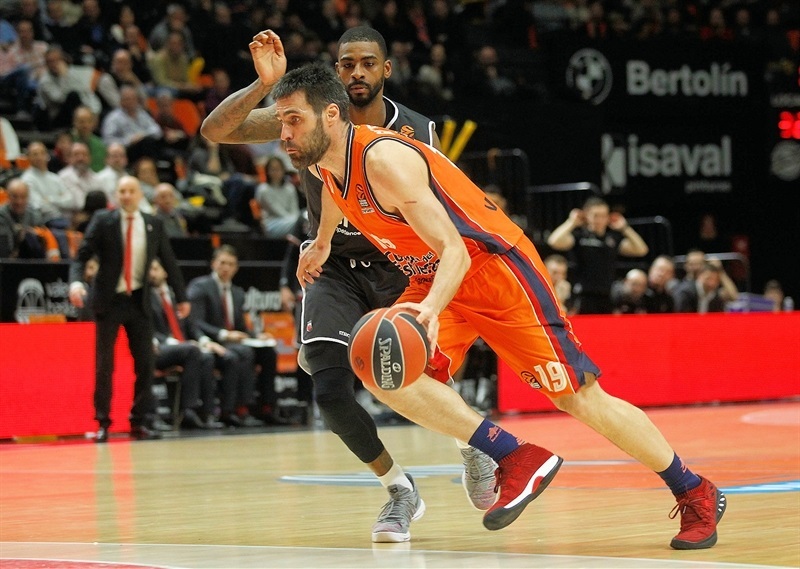 The German champs took the lead in the third, but Valencia stormed back and dominated the fourth quarter to secure the win. 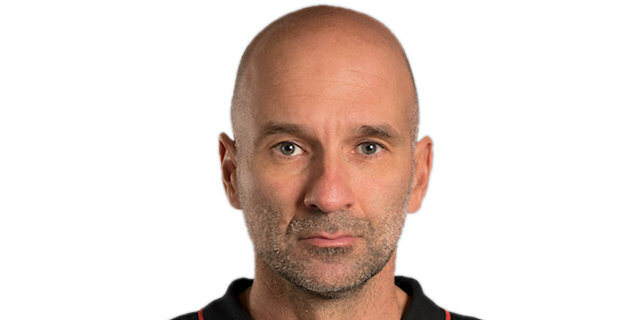 Dejan Musli paced Brose with 14 points and Daniel Hackett scored 11 in defeat. It was all Valencia early as the visitors turned it over on their first two possessions, while four players scored for the hosts in an 8-0 start. Even after Augustine Rubit got Brose on the scoreboard, Valencia continued to roll and Dubljevic hit triples on either side of a Brose timeout to make it 16-2. 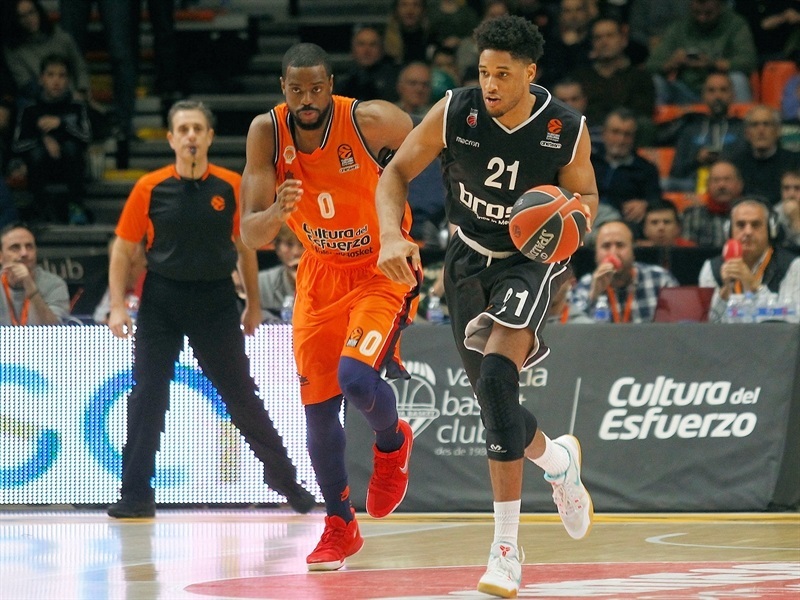 Despite a triple from Dorell Wright, Brose could not slow down Valencia, whose lead reached 19 on a pull-up jumper by Sergi Garcia. Free throws by Hackett and a layup by Aleksey Nikolic marked the first time Brose scored on consecutive possessions, but a put-back slam by Thomas just before the first-quarter buzzer made it 28-11 after 10 minutes. Brose regrouped for the second quarter, which it opened on a 2-10 tear led by Ricky Hickman's 5 points and 1 assist. Musli connected on 4 free throws before Nikos Zisis's layup drew the visitors with 32-27. Even after a San Emeterio three-pointer, Zisis and Musli twice got Brose within 4. Musli split free throws in the final minute of the half to send the teams to the locker rooms with the scoreboard reading 37-34. 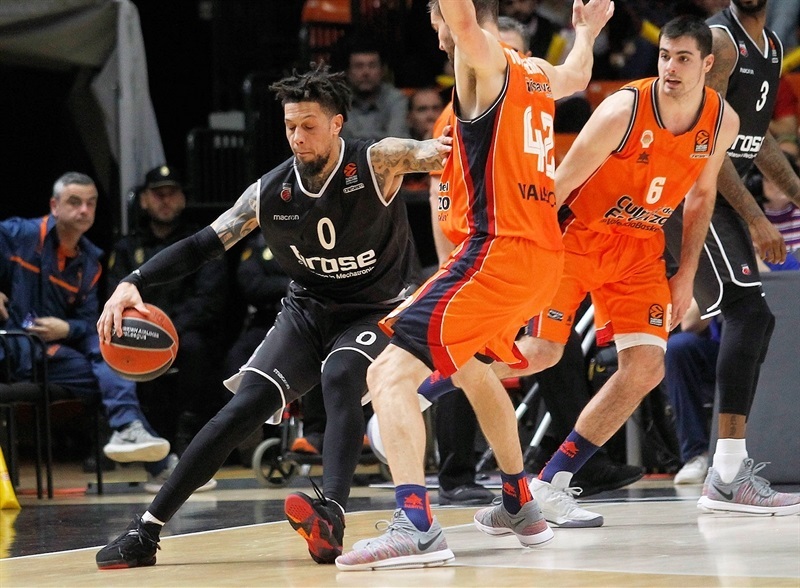 Musli scored inside to start the second half and narrow the gap to 1 before Valencia leading scorer Erick Green got to the line for his first points of the game. Wright tied the game at 39-39 with a three-point strike from the corner. Rubit fought through Thomas for a basket-plus foul that gave Brose its first lead of the game. 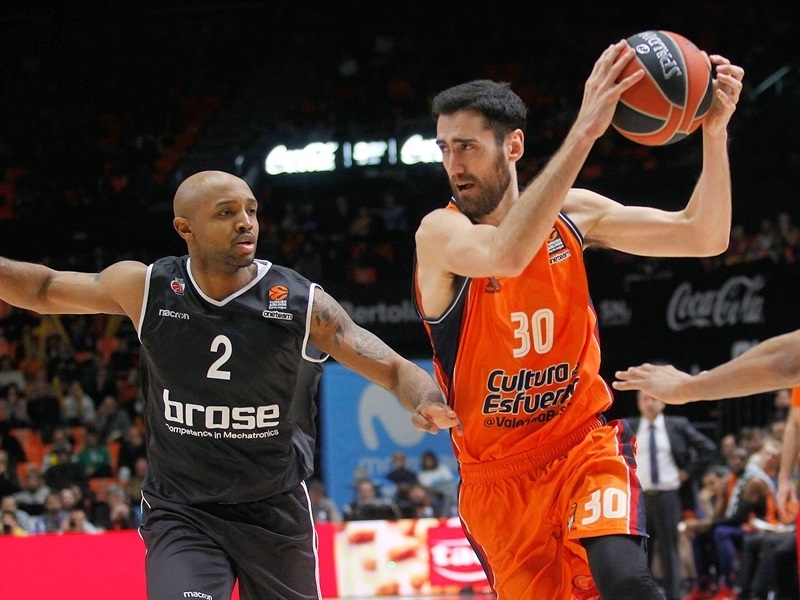 Back-to-back threes by Dubljevic and San Emeterio put Valencia back ahead. After Maodo Lo and Joan Sastre traded threes, the score was 48-45 midway through the third quarter. Thomas scored three times and Martinez buried a three-pointer in a 9-2 Valencia charge to pull away to 59-48. Leon Radosevic and Wright scored the next 6 points to help Brose claw within 60-54 through three quarters. 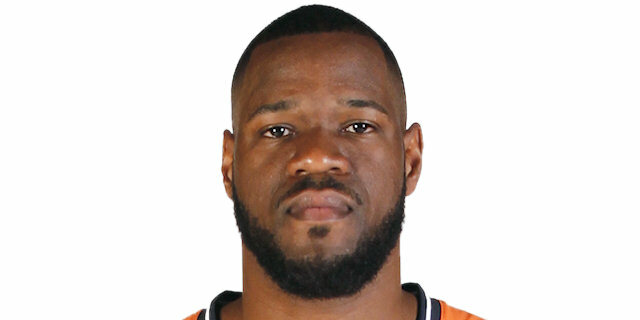 A put-back by Latavious Williams – in his first appearance of the season – followed by threes from Abalde and Aaron Doornekamp put Valencia back in charge at 68-54. 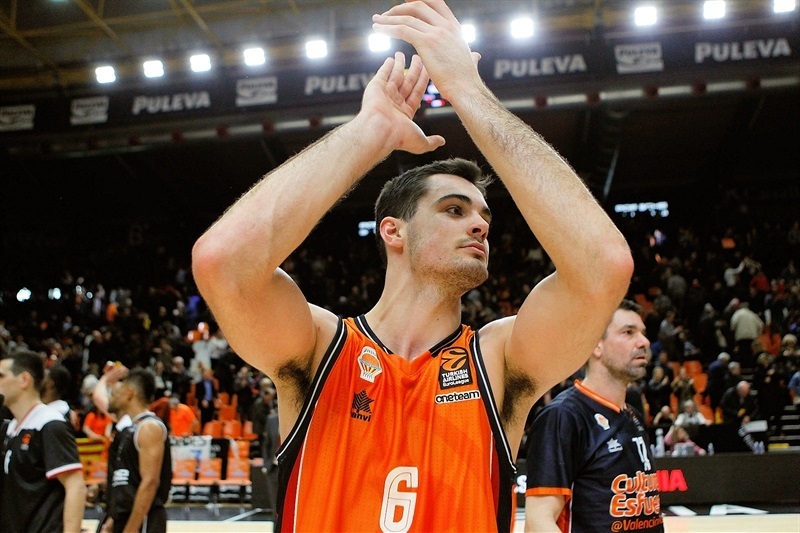 Abalde added another three and San Emeterio also connected as the lead swelled to 78-60 with five minutes remaining. 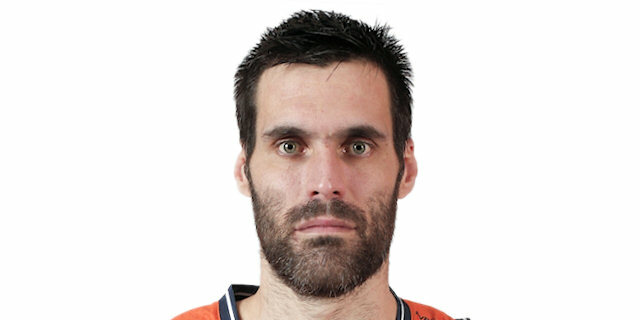 The lead crossed the 20-point mark in the closing minutes and peaked at 83-62 on Dubljevic’s fourth three-pointer as Valencia marched to victory. "It's a very good night for us, a big win for us, because we took our fourth in a row here in La Fonteta and because we had difficulties in the second quarter, but our improvement in the second half was great to beat one of the most aggressive teams in the EuroLeague defending the point guard. [Abalde] had it difficult in the first half, but in the last 20 minutes he did an unbelievable job. 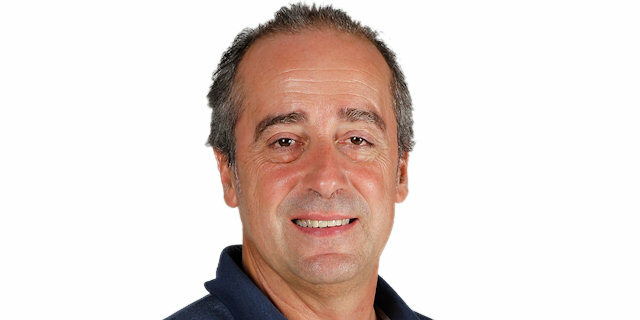 Before that Fernando [San Emeterio] and Erick [Green] and Joan Sastre also, we opened the court for Alberto in the last 15 minutes of a fantasy." "I believe Valencia deserved to win the game. They had a good game with very good percentages from three points and in general a very productive night for a lot of their players. I believe we didn’t approach the game defensively as we should. We played only for some small parts of the game, especially in the second quarter with the physicality and the contact and the defense you should have at this level for 40 minutes. I believe in offense we didn’t move the ball as we should." " It felt good just to be back on the court with the team. I'm very happy. I hope I can finish the season out strong and help the team and get back into rhythm. I am kind of tired. It’s only been five days since I started practice with the team, so it was a surprise for me to get in the game. I did what I did to play three or four minutes to give the guys a break and it went well." "We played good. In the first quarter we played very aggressive on defense. We could run and play in transition, making three-point shots. Then in the second quarter we collapsed a little bit; we didn’t play with our rhythm. But then in the second half we recovered our defense, our rhythm and we won a more-or-less easy game. I think if we play defense as a team, on offense we pass the ball good, we move the ball, we look for the best situation. This has to be our identity." 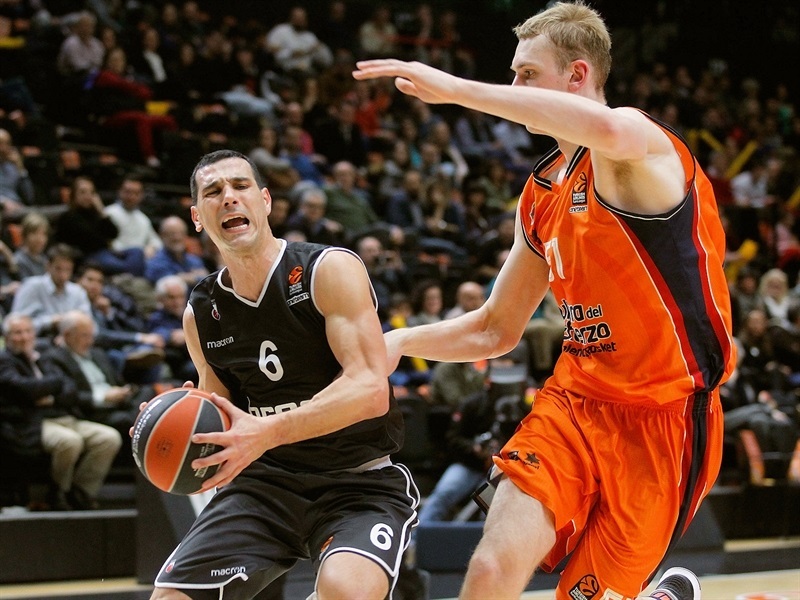 "Except in the second quarter, Valencia imposed the rhythm. We know they are a team which when at home plays very fast and shoots the ball well from all positions, and that was the difference. We made a bad start, and they took advantage of it. In the second quarter we managed to come back in the game and in the third we started solid. But then they imposed the rhythm and scored a lot of threes, they just took control of the game."